It’s been a particularly harsh winter for everyone’s skin, but at Jedwards we carry several products that can aid in a springtime rejuvenation! Besides our delicious edible hand-mined bulk Himalayan sea salt, we also carry a coarser grind that is a gentle and effective exfoliator. Combined with one of our natural oils or butters, and you can exfoliate and moisturize simultaneously! 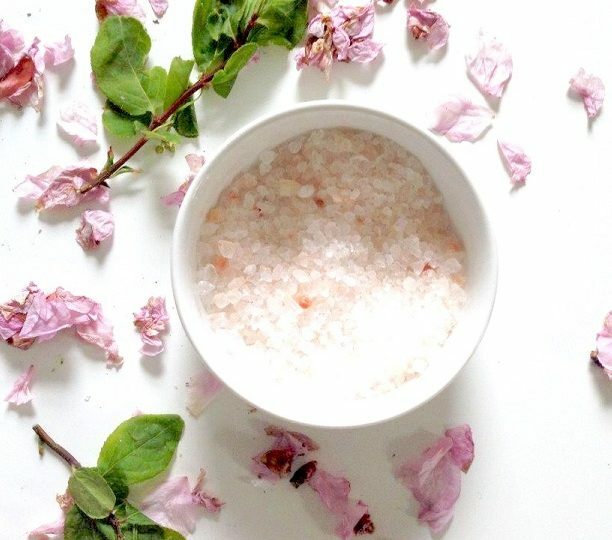 Or toss some in your bath and soak in the naturally occurring nourishing and skin-replenishing minerals. Harvested from ancient sea beds, Himalayan salts also contain trace elements including calcium, magnesium, potassium, copper and iron. Jedwards also carries bulk wholesale Dead Sea Salt. Dead Sea salt refers to the salt extracted from the Dead Sea. The Dead Sea has an extremely high concentration of saline—between 28 and 35 percent. By comparison, the world’s oceans are only 3 to 6 percent. The Dead Sea owes its high mineral salt content to several factors. It’s completely landlocked, so any fresh or saltwater that flows into it from the Jordan River and other tributaries is trapped until it evaporates. Evaporation happens quickly in the extremely hot climate, leaving the salty minerals behind and further concentrating the remaining water. Of course, typical table salt isn’t what gives the Dead Sea its impact. The salt in most oceans is approximately 97% sodium chloride while Dead Sea salt is only 12-18% sodium chloride. Rather, at least 35 different kinds of mineral salts are present in significant quantities. Some of the minerals present include potassium, bromine, calcium, magnesium and iodine. Various cultures and groups of people have visited the Dead Sea for therapy, dating back to the time of the ancient Egyptians, using the salt in various treatments and skin creams, as well as for soap making, just as it is used today. The salts are particularly impactful in scrubs as they gently exfoliate dead dry skin cells. Will the harsh winter away and treat your skin to the enriching properties of our bulk Himalayan salt, and Dead Sea salt. They are ideal ingredients for skin care and soap making, or as an invigorating addition to your at home spa routine!